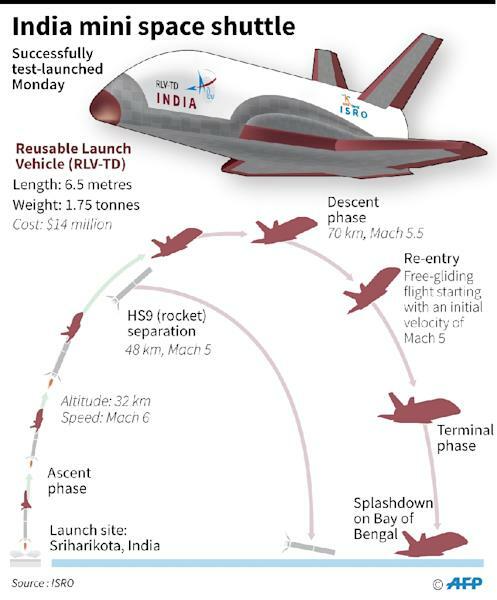 Bangalore (India) (AFP) - India successfully launched its first mini space shuttle on Monday as New Delhi's famously frugal space agency joined the global race to make rockets as reusable as airplanes. The shuttle was reportedly developed on a budget of just one billion rupees ($14 million), a fraction of the billions of dollars spent by other nations' space programmes. They are seen as key to cutting costs and waste in the space industry, which currently loses millions of dollars in jettisoned machinery after each launch. Internet tycoon Elon Musk's SpaceX and Blue Origin of Amazon owner Jeff Bezos have already successfully carried out their own test launches. Musk told reporters in April that it currently costs about $300,000 to fuel a rocket and about $60 million to build one. SpaceX first landed its powerful Falcon 9 rocket in December while Blue Origin's New Shepard successfully completed a third launch and vertical landing in April this year. But ISRO hopes to develop its own version, primarily to cash in on the huge and lucrative demand from other countries to send up their satellites. 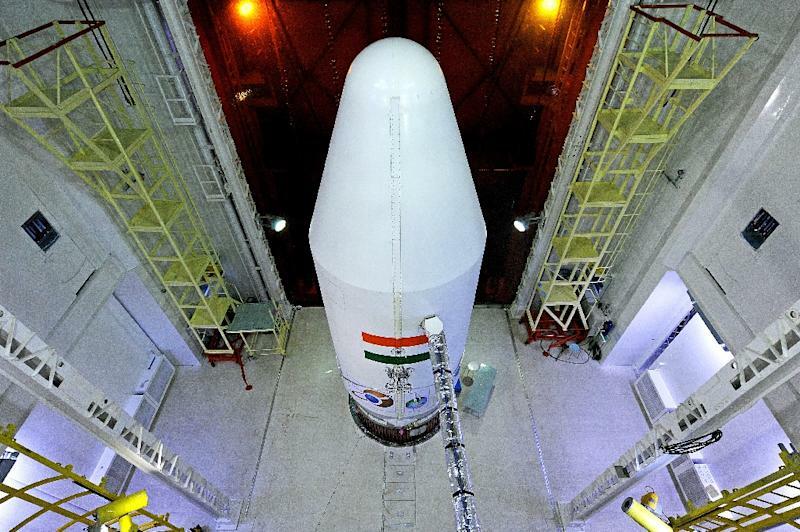 The Indian space agency is no stranger to stellar achievements on a shoestring budget. It made global headlines in 2013 after sending an unmanned rocket to orbit Mars at a cost of just $73 million. NASA's Maven Mars mission had a $671 million price tag. The launch and its low cost were a source of immense pride in India, which beat rival China in becoming the first Asian country to reach the Red Planet. K. Sivan, a scientist involved in the latest project, said the seven-metre (23-foot) long shuttle survived the test flight, and scientists hope subsequent models six times as big, to be built over the next decade, will glide safely back to land. Modi has often hailed India's budget space technology, quipping in 2014 that a local rocket that launched four foreign satellites into orbit had cost less to make than Hollywood film "Gravity".